We have built POS systems, In-Store navigation, Supply Chain Solutions for sectors like Health & Fitness, Grocery, Fashion & Apparel, FMCGs. We have provided IT services to B2B and B2C sectors like Food Industry, Travel & Tourism, Insurance, Agribusiness, Electronics, etc. We have helped budding start-ups in Australia, Netherlands, Europe, Germany and Saudi Arabia, with IT Solution for their business. Join us at HKTC International ICT Expo 2019 from 13 -16 April, at Hong Kong Convention and Exhibtion Centre. Our representatives will be present at Stand 3G-G18 for tech talks ! We have a unique interactive approach to understand your business need, gather the concept and pain points and accordingly plan an IT strategy. We build the prototype for your product that speaks volumes about the end solution. Feature-rich wireframes with a fresh and unique look and comprehensive functionalities are our domain. The look, feel, usability, technical development, testing and deployment is the development solution. We provide a complete spectrum of custom software development services to our clients. Implementation opens doors to success. As doors keeps opening, we work with you on your journey. We have build POS system, In-store navigation, Supply Chain Solutions, for sectors like Health & Fitness, Grocery, Fashion & Apparels. We have provided IT services to B2B and B2C sectors like Food Industry, Travel & Tourism, Insurance, Agro business, Electronics, etc. We have helped many start-ups in Australia, Netherlands, Europe, Germany and Saudi Arabia, with their business IT solution. Join us at HKTC International ICT Expo 2019 from 13 -16 April, at Hong Kong Convention and Exhibtion Centre. Stay tuned with us to know our stand number ! "We are delighted by your presence." We are an organization that achieves right solution for our client by providing end to end services. Proficient software application developers who make app development seem effortless. We focus on providing innovative business solutions focussing primarily on turning your business need into reality. Get benefited by hiring our best resources both on-site and off-site for short and long term projects. 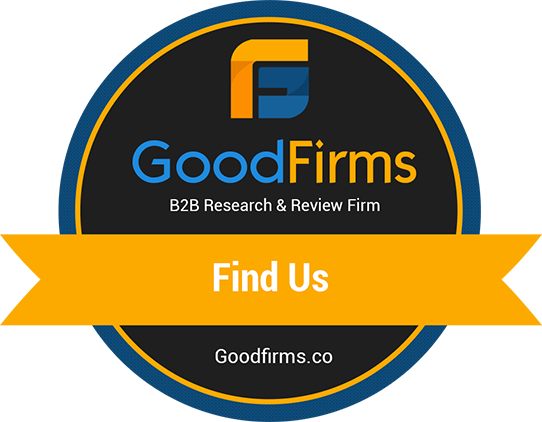 We are excited to announce that GoodFirms, an internationally acknowledge B2B research and review firm featured CDN Software Solutions among the top Mobile App Development Companies in the USA. According to GoodFirms, we are experts in building perfect iOS and Android apps. They selected us on the basis of three main elements that are Quality, Reliability, and Ability. CDN Solutions Group feels proud to rank among the top Mobile App Development Companies in USA & App Developers. We are glad that IT Firms recognized our talents and consider us to be one of the best mobile app development companies in the USA. IT Firms chose us after scanning the following qualities: A considerable company profile, an estimable performance record, area of expertise, a company that has a strategic plan before starting the development process, a company that considers’ users demands, implements ways to keep users’ interested, has a USP, follows the app development life-cycle before delivering it in market. You can trust us as your Custom Software Development partner because now we are recognized as one of the Top 10+ Trusted Custom Software Development Companies 2018 by GoodFirms, a full fledged research and review platform. We have developed custom software solutions like online ticket booking, education portal, job portals, book publishing platform, digital signage and many more. CDN Software Solutions is now an ISO 9001:2015 certfied company, as the company have upgraded its ISO 9001 certfication this year. We are consistently maintaining impeccabel customer service for our clients. The purpose of the standard is to assist companies in meeting statutory and regulatory requirements relating to their product while achieving excellence in their customer service and delivery. We cooperated with CDN on the project of creating mobile application for iOS and Android platform. We evaluate our cooperation in a highly positive way. The approach of CDN was very open, flexible and professional. All the deadlines were met and the project was successfully delivered on time. So I guess the thing churned that has always impressed me about CDN is that I've been to a lot of other places in India and been to a lot of other companies in Baroda, chennai and I've decided in the end to work with CDN and because it's a company that meets my needs and my needs are not just development needs are like where the people that I'm working with can extract from me what i want but more than that they can take my ideas and taken further so it becomes more than just a development team, a team that actually starts to push my thinking and my ideas further and I think that's a wonderful thing in CDN. They were able to create and deliver a technical solution for a mobile application I managed that was produced by EuroRSCG New York. He and his team's diligence and flexibility was critical to the launch and success of the project. Our client NYSE was extremely happy with the work and we couldn't have done it without the excellent work done and managed by the team. I would recommend him and his team as a technical solution to any of my colleagues. We have partnered with CDN Solutions as an exclusive "Software Development Hub" for all of its projects in the kingdom of Saudi Arabia after along selection process. We have signed with them for the proven track record of delivering projects within time, on budget and a complete satisfaction of clients. Its been a little over a year now and we can't ask for a better partner. We appreciate their commitment to our work, we look forward to have a long fruitful business relations with them. We were given a strong project team from CDN, comprising of an articulate business manager who helped bridge us with the core development team, a seasoned project manager, and a skilled developer. It was a good combination that helped reduce development errors caused by lack of proper understanding of our requirements. We managed to launch in time to secure our first mover advantage and we are continuing to get great support from the team for ongoing enhancements to the system to further solidify our position in the market. I used CDN for my educational sharing platform ‘I Met Mylo’. I found them to be very courteous, professional, and they keep to their deadlines. The work that they produce is of a high standard. I would recommend CDN to anybody who wants to build a website for their business. Bring us your challenges and we can build solutions together. Note - Job seekers can apply from our career section. Job inquiries via this form will not be entertained. We would be more than happy to discuss your business requirements or ideas. Interested to meet? Let's connect! Thank You for trusting us! You shall hear from us shortly.